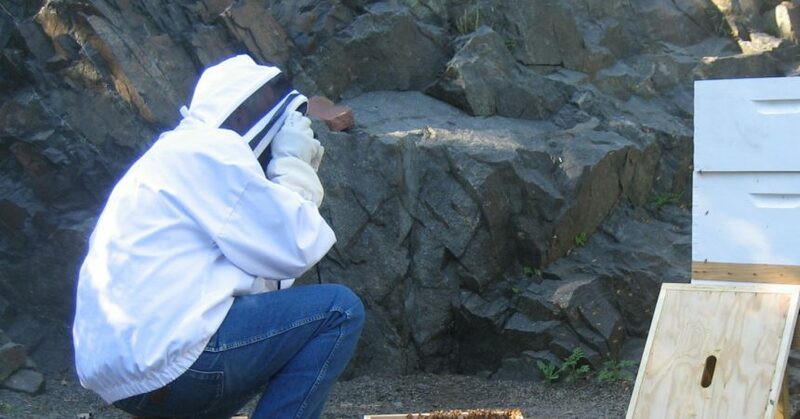 The bees were excellent and patient models. I’m interested primarily in street, documentary and event photography. I like pictures that capture the spontaneous convergence of form, experience, emotion and light. Pictures that tell stories or simply show the wonder of life. I like to photograph human beings, and I shoot street photography to understand cities, urban design, human interactions and life. Photography has been an important part of my life since I the days of Kodak Instamatic cameras and 126 film. Though today I use digital cameras too, I still prefer to shoot on film. I like both platforms but from a creative point of view a mechanical film camera makes me think about light, composition, exposure and focus as no modern digital wonder ever will. Film cameras make me slow down, pay attention, take better pictures. Maybe that makes me old school. That’s fine with me. I approach photography from a background in photojournalism where I learned a lot about how the camera and the world interact while shooting news events on assignment. While some photographers work to achieve a perfect image, I am a visual story teller. Some of my favorite recent work has been small business and craftsman profiles like my visits with Wunder Budder, A & J King Bakery, Gagnon Shoe Repair, and Witch City Ink. These shoots tell stories about interesting small businesses. They also give me the chance to learn something about a skill or craft and the people behind them. My biggest influences are Robert Capa and Sebastião Salgado, two photographers who have used their cameras to change the world and influence how people see the world around them. They have each profoundly affected how I think about photography, light and composition. My wife and muse is Jeanie Mossa, an accomplished artist, acupuncturist and animal healer. Leica M3 (40mm, 90mm and 128mm prime lenses) – This is my main walking around camera. Olympus OM1n (28mm, 50mm and 90mm prime lenses) – This is my primary SLR, mostly for close-up work. Pentax K5 (Pentax prime lenses and various zooms) – This is my only DSLR. For black and white film, I used Tri-X for years but recently changed to Ilford HP5. For color film I use Kodak Portra. I keep things as uncomplicated as they can be for a given shoot.